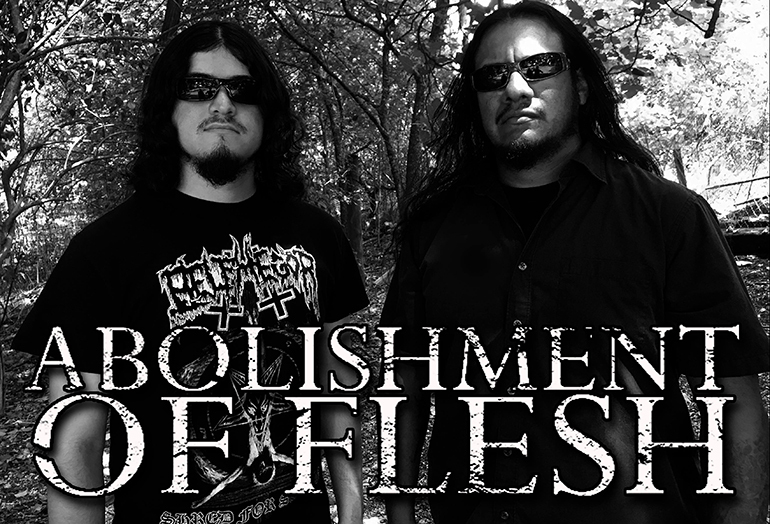 ABOLISHMENT OF FLESH STREAM NEW SONG "THRONE OF DECEPTION"
New Noise Magazine is streaming a new song called "Throne of Deception" by extreme death dealers, Abolishment of Flesh just days ahead of the release of their new album "The Inhuman Condition" on Unholy Anarchy Records. The boys themselves say "We are really excited to finally release this album and be available to fans world wide! Now we get to focus on touring for this record and also begin the process of writing new music. Can't wait to hear what people think of "The Inhuman Condition" and make new fans! See you on the road!" Stream the song here: https://newnoisemagazine.com/stream-abolishment-flesh-throne-deception/.